Tiger Woods announced in December he was returning to golf, but his broken, fucked-up body won’t allow it—as Woods announced on his website today that he’ll miss the Masters for the third time in four years. I did about everything I could to play, but my back rehabilitation didn’t allow me the time to get tournament ready,” Woods said. “I’m especially upset because it’s a special anniversary for me that’s filled with a lot of great memories. I can’t believe it’s been 20 years since I won my first green jacket. “I have no timetable for my return, but I will continue my diligent effort to recover, and want to get back out there as soon as possible. 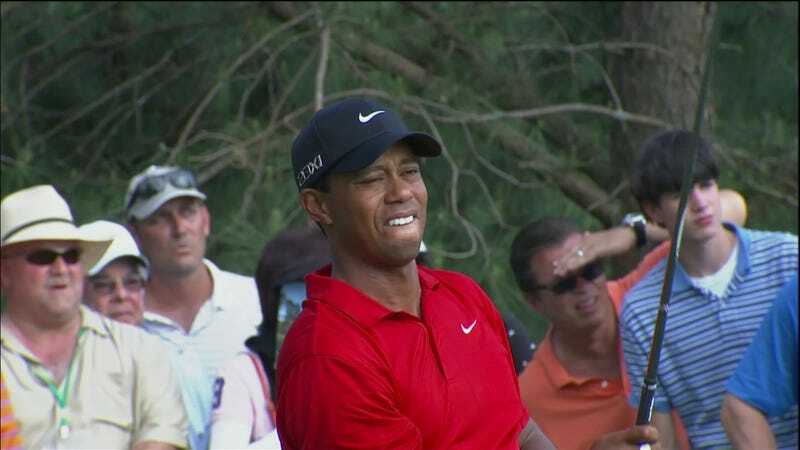 Tiger Woods has yet to complete four rounds of tournament golf this year; he missed the cut at a tournament in January while dropping out of the later Dubai Desert Classic in the first round.